So many of you joined in the fun, tagged and shared the game and got more entries. 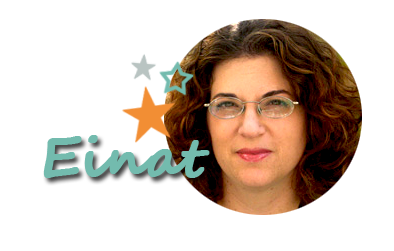 I composed all your names with the extra entries to a very long list from 1 to 120. 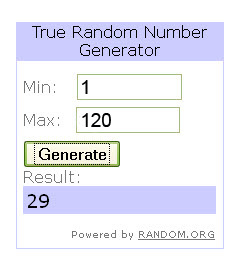 Then I ran it through the random Number generator. Congratulations! Pm or email me your address. 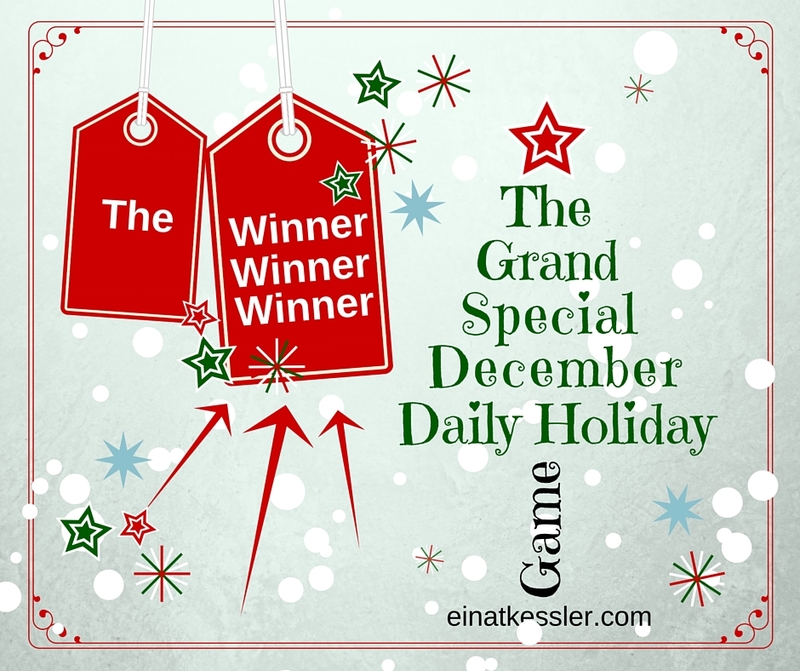 The grand special December daily holiday game is really very amazing idea as it helps people to get out of their hectic routine and enjoy the fun. Things like skincraft.info alos help people to enjoy entertainment and many more fun.